Last Saturday evening I and my future wife Svetlana went to get train tickets (Sofia Dobrich), cause next week me and Svetlana will be travelling to Dobrich. Afterwards we went to Russian Church in center of Sofia – St. Nicolas for the evening service and confessed. 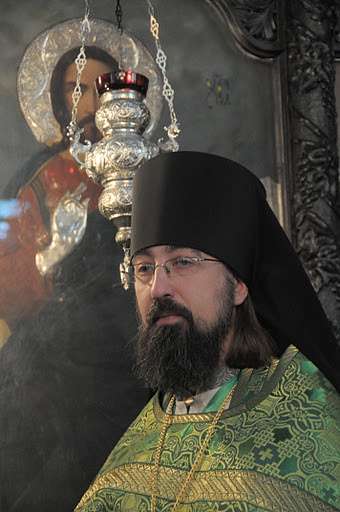 The evening service was led by Archimandrite Philip who is currently Russian Church's prior. We prepared so far almost everything for marriage. My parents helped with finding a marriage resturant and finding musicians for post marriage restaurant celebration. We also travelled to Asenovgrad to look for Svetlana's wedding dress and we got one I bough a marriage suit 2 weeks back and we ordered a marriage rings. There is already agreement with a priest father Vasilij – who will merry us in Church St. Trinity this Friday. 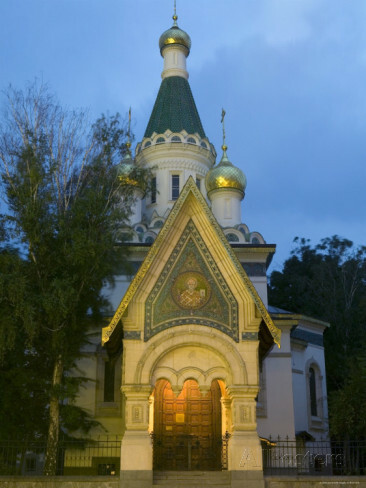 Father Vasilij serves in Church "Dormition of Virgin Mary" in Kavarna . We choose father Vasilij to make the Marriage vows for the reason he is nativily Russian speaking (like Svetlana) plus the father is a good example of a true Christian priest. Today the parents of Svetlana (mama Vera and papa Alexander) arrived in the airport in Varna for the marriage (thanks God they had safe flight). Sunday night I send Svetlana to Train Station here in Sofia to make latest preparations for marriage. I will be travelling to Dobrich on Wednesday night 1 day before marriage. The rest of things happening around are not so interesting. In y job in HP work is complicated as usual. On my job I'm learning HPSM (HP Service Manager) and how to open new Changes in system and that's mostly my life these days. When I have time I'm playing OpenTyrian and a couple of nice arcade games on my ZTE Android mobile phone and reading some saint livings on mobile. This entry was posted on Wednesday, February 5th, 2014 at 5:30 pm	and is filed under Christianity, Everyday Life, Various. You can follow any responses to this entry through the RSS 2.0 feed. You can leave a response, or trackback from your own site.